Yes I have another chicken recipe for you today and thats twice in a row because I have been making a LOT of chicken lately. And finding all sorts of new ways to make boring chicken amazing again. The sister just got engaged! Wohooooo! Thats my first big announcement – that I now have the cutest brother in law in the world. And the second is that she has adopted a Ketogenic Diet, primarily as a way to eat better and live better and also as a way to shed some extra pounds. She’s been at it for the last two weeks and I can tell you it seems to be working so well. She feels better, looks better and is generally in a healthier state of mind. For me, it’s a whole new world because the Keto diet is a low carb, high protein and fat diet which means that there are only specific things she can eat. Me? I eat everything and mostly make fun of her while I do. But thats just me being mean. 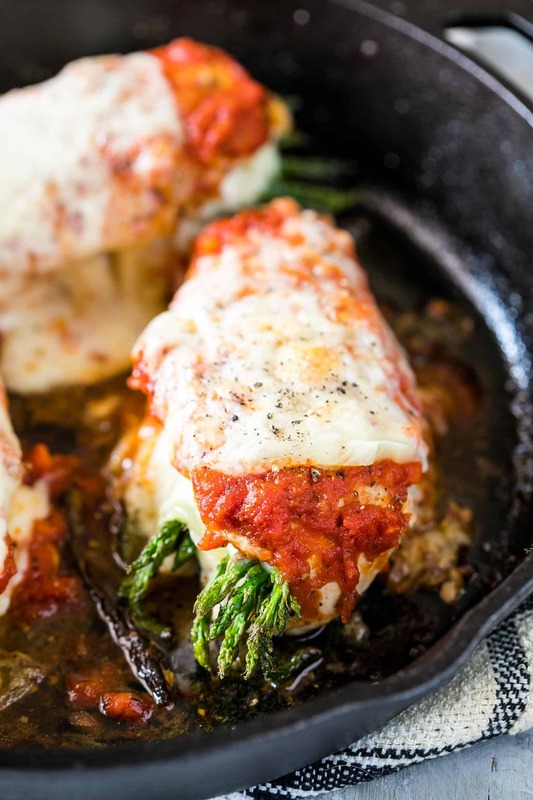 I also help her a little bit by trying to make things that she can actually eat like this asparagus stuffed chicken parmesan which basically combines two of our most favourite recipes – asparagus stuff chicken and chicken parmesan. But by making it lighter, healthier, gluten free and keto friendly. And because we have everything in this recipe that cooks so fast, its actually ready in 30 minutes! Scoooreee! This might look super fancy and it tastes super fancy but guys its ridiculously easy to make. You just might need a little knife skills to slice the chicken in half but really that’s all there is to it. Once you’ve got that tackled, all you need is fast action, a little butter, a skillet and you are good to go! In fact I love this so much that I’m thinking spinach stuffed chicken and sundried tomato stuffed chicken next. The possibilities.are.endless. 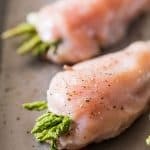 If you have someone in your family who is looking for a low carb, gluten free or keto friendly way of eating, you have to have to make this asparagus stuffed chicken parmesan. Actually it doesn’t matter if you have dietary needs at all. You just have to try this recipe out! I insist. This is the kind of food that really makes sure your plate is wiped clean. 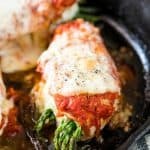 I’m not even on a keto diet but one bite of this asparagus stuffed chicken parmesan had me wishing I was. 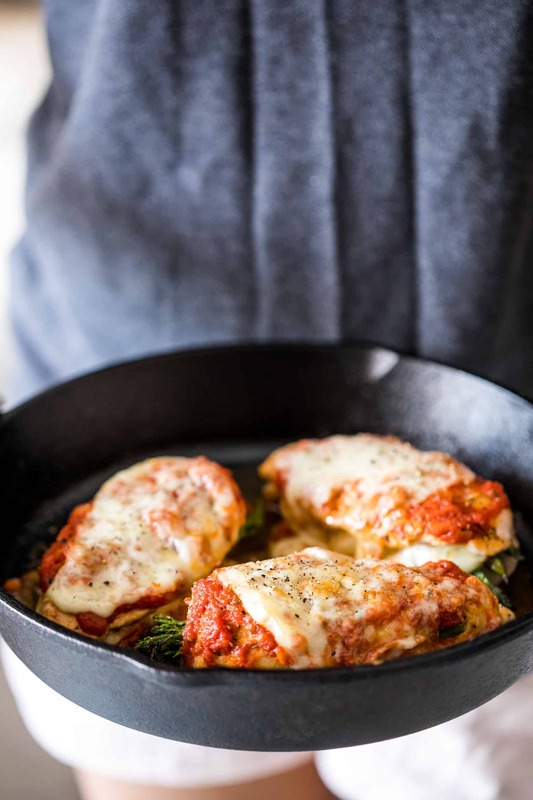 I would totally recommend making this in a cast iron pan because it requires you to take the chicken from stove to the oven. But if you don’t have one, feel free to transfer the chicken to a baking dish and finish it in the oven. We need a little oven action for that gooey melty cheese. Doesn’t that make you want to try it out? Say yesssssss! Hi. What do you use for marinara sauce? I just use any store bought marinara or pasta sauce. 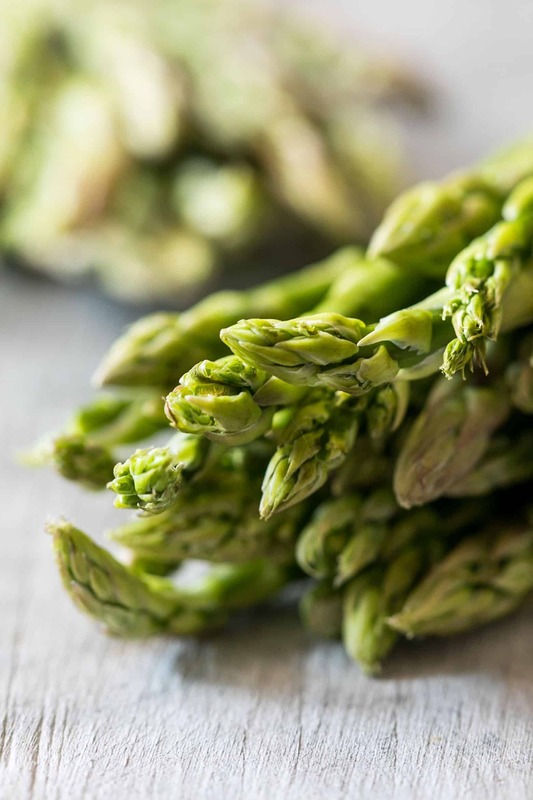 Will i need to steam the asparagus first? Will it be tender with the short cooking time? I don’t steam it beforehand because the asparagus we get here is pretty tender. But you can steam it if the stalks are thick. I will try this and let you know how it turns out. It looks really good. With not much prep or cooking tome Thanks! Hi! What are the nutrition facts for this dish? Hey Ali, I’ve updated the nutritional information in the recipe. I hope you try it out. Hey Irene, thank you so so much for pointing this out. I really appreciate it. I hate people who steal like this! I’ve left a comment on their post to take this down. Can I put mozzarella cheese in the middle instead of cream cheese? What are the options if you don’t have a skillet? Hey Adam, if you don’t have a skillet you can start in any non stick pan. And then transfer the chicken to a baking dish for the last step to broil it. It was delicious, I will definitely make again! Hey Kelly, I’ve updated the cooking instructions. 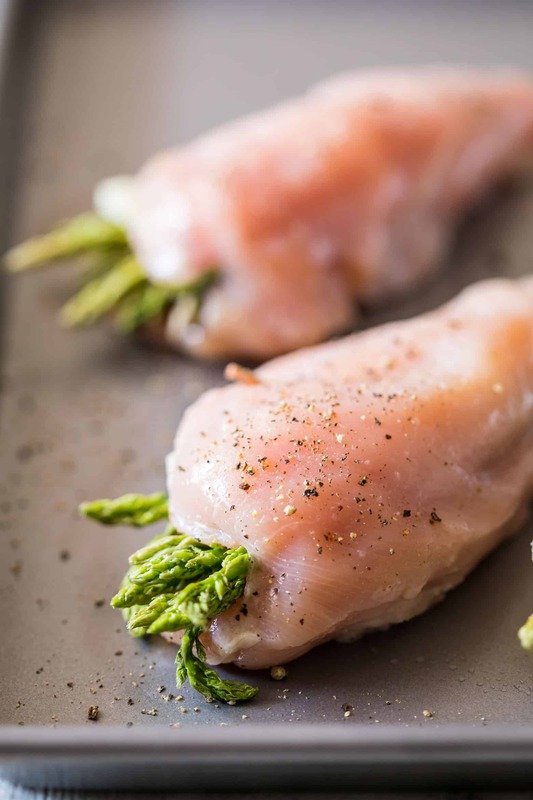 Chicken breast cooks really quickly, so you start cooking it in the skillet for 6-7 minutes on each side so that the total cooking time is about 14-15 minutes depending on the size of the breast. And then you broil it in the oven for 4-5 minutes so that the cheese melts. Does that make it clearer? just put it in the oven on broil…also, why is it called parmesan when you said to use mozzarella. Have to say..this sounded really really good, cant wait to eat.